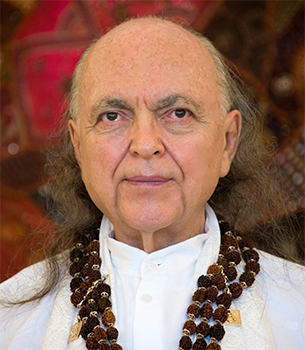 Part Two begins with Avatar Adi Da’s exposition of the great traditional knowledge that those who have actually Realized Truth and Reality (the Adept-Realizers) are at the core of all genuine Spiritual Revelations. It is the Adept-Realizers who make the Realization of Truth and Reality possible for others. The primary force and “root” of all the esoteric traditions of humankind are the Adept-Realizers, those who actually Realize (to one or another degree) the Spiritual and Transcendental Nature of Reality. Adept-Realizers (in their various degrees and kinds of Realization) appear in all times and places, and they become associated with the complex social and cultural structures existing in their immediate environment. Throughout their lifetimes, both before and after their Realization, such Adepts move into the existing culture and associate with its influences. Thus, while the teaching of any Adept is, of course, an expression of his or her actual Realization, the Adept’s words also reflect and comment upon all kinds of cultural complexities and ideals. Where Adept-Realizers appear, they transform the existing culture, eliminating some aspects of traditional “religious” and Spiritual life and emphasizing others. The Spiritually Realized Adept is a motion in the midst of the stream of conventions. The tradition of Truth, the tradition of Spiritual and Transcendental Realization, is the tradition of the Adept-Realizers. Apart from the Adepts, there is no tradition of Truth. In all “religious” and Spiritual traditions, a great deal is made of some key individual. There is no great Spiritual tradition that is without a person at the center of the process. How that person is interpreted through the cultural and intellectual lore of each tradition varies, but such an individual always exists. In other words, the Truth is not separable from a special human function that is perceived in the form of the Adept-Realizer, or Spiritual Master (or Guru). The Adept-Realizer, or Spiritual Master, has many functions—to exemplify the Way, to argue the Way, to Bless devotees, and (thus) to interfere with the usual attitude and disposition of devotees, and to Transmit Spiritual Influence tangibly to devotees so that they will then, having understood themselves, be capable of Spiritual growth. The function of the Spiritually Realized Adept, therefore, does not come to an end with the arising of any particular result. The Adept-Realizer (or Guru) is the continuous and unending resource and resort of his or her devotees. One who Functions as Adept Spiritual Master (or as a Realizer-Guru) exercises the Guru-Function only in relation to those who are his or her devotees. If the Adept addresses public society at all, he or she may also (in the public setting) assume the role of prophet—which is, essentially, an aggravation, a criticism, an undermining of the usual life. Adept-Realizers of one or another degree of Spiritual development spontaneously Transmit That Which they have Realized. That Which they have Realized Transmits Itself—subtly as well as in the gross physical dimension—by what they do, by what they are, by what they feel. Thus, accordingly, Adept-Realizers Transmit their degree of Realization. Such Transmission is inevitable, and Such Transmission is an absolute Law. This is why, traditionally, it is said that the best thing anyone can do, among all the things everyone must do—and you must do many things—the best among them, the chief among them, is to spend time in the Company of an Adept-Realizer, or Spiritual Master. Everything transmits. The stones transmit, the sky transmits, the TV transmits. Since everything and everyone transmits states of existence—since life, or existence itself, is participation in transmissions of all kinds—the best thing you can do is to associate with the greatest possible Transmission. Since everything is transmission, spend time in the Company of the One Who spontaneously Transmits That Which Is Inherently Perfect and Ultimate. This is the Great Rule, the Great Law, the Ultimate Principle of the Great Tradition of humankind. Devotional allegiance to the Adept-Realizer, or Spiritual Master, is the greatest function of existence and the single advantage not only of human beings but of all beings. 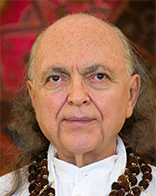 The devotional relationship to the Spiritual Master is participation in a unique function that appears in the realm of cosmic (or conditional) Nature. Only the ego will deny the Spiritual Master. The ego wants to “do it” himself or herself. Do what exactly? Be himself or herself—separately and untouched. Since you become what you meditate on, you should meditate on, or give feeling-attention to, the Absolute—which, in the bodily (human) form of the Spiritual Master, is your greatest advantage. No thought or figure or any perception arising in the mind is, in and of itself, Real (Acausal) God. No thing, no body, no moment or place is, in and of itself, Real (Acausal) God. Rather, every moment, place, thing, body, or state of mind inheres in the Divine Reality and Truth That Is Real (Acausal) God. Thus, all conditions become Reminders that draw the devotee into Divine Communion. The Spiritual Master is a Transparent Reminder of the Divine Reality, a Guide to the ecstatic Realization of the One Reality in Which all conditions arise and change and pass away. The Spiritual Master is not to be made into the merely “objectified” idol of a cult, as if the Divine Being were exclusively contained in the “objective” person and “subjective” beliefs of a particular sect. Rather, right relationship to the Spiritual Master takes the form of free devotional response to the Spiritual Master’s Radiant State.